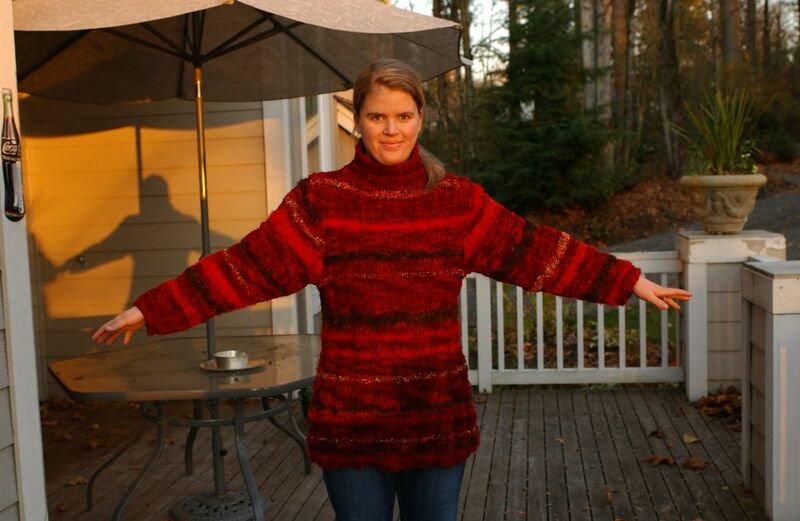 I made this Amazing Expando Sweater when I was pregnant with Angus in 2000. I am not a novelty yarn kinda gal. Maybe that is why this was so much fun and easy to make. 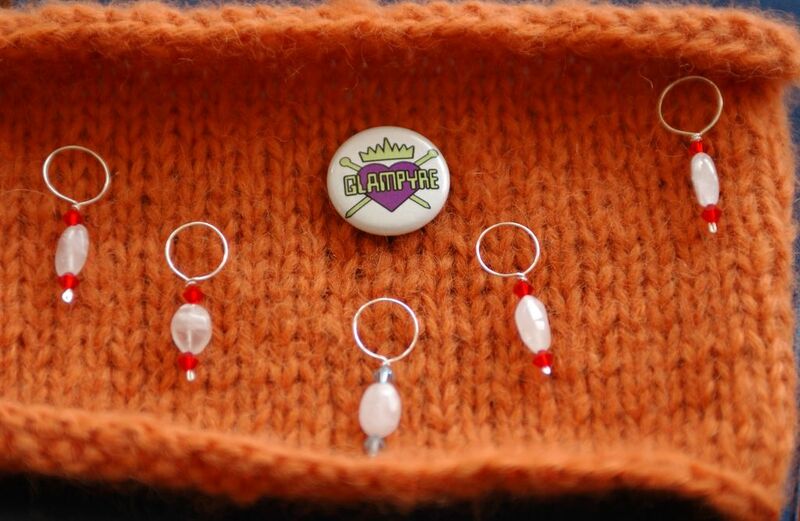 Maybe in my heart I am a novelty yarn kinda gal? Nah- I think it was just a fling. A really fun fling that I still have fond feelings for. I love this sweater. It was great fun to make and easy. Knit in the round in 3×3 rib to the armholes and then split, and well you know the rest. The best part about this sweater is that it pulls double duty. 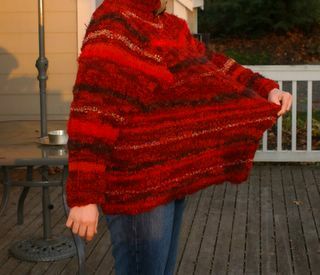 I wore this as a Maternity Sweater and then when Angus was actually here, I could wear it as a regular sweater. And it looked NOT like a Maternity sweater. And I guess I am getting excited for cooler weather if I am writing about it as it is a very warm sweater. I think I will just keep hauling out the stuff I have made and show them one at a time then, I will make a gallery of them. It is fun as I get to see what I liked and didn’t. Useful right now since I am between projects and feel that awful, oh I must pick the RIGHT project feel. Stefanie sent me the sweetest package, a portion of which you see here. 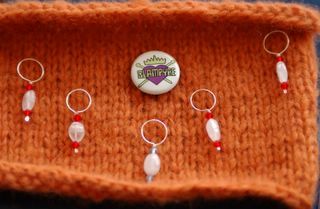 Look at these awesome stitch markers! Thank you Thank you Thank you. They are lovely. And beautifully made. And I love the magnets. The markers are resting comfortably on the new orange swatch. Hmm. A good match I think. The whole little assemblage is atop my brand new Denise knitting needles. I had heard about them for years but never seen them in any of the LYS I have had. So when I saw them, I snatched them up. They are taking a little getting used to, but I like them. Man, they are pointy! They might not be my everyday needle, but for travel and portability, I think they will fit in just fine. « I’ve got some chops. Sort of.